Pubblicato il 04 aprile 2019 da Marcevaggi & archiviato in Iniziative. The Celanese Foundation is an employee-led effort dedicated to improving the quality of life for people around the world. Our investments go directly to the charities we have qualified. We support through our own dollars and volunteer time. The Celanese Foundation focuses on initiatives that improve the fundamental living conditions of people, with a special focus on families and children. Through partnerships in our communities, Celanese employees give back to the community by supporting various local and national causes that are aligned with the Celanese Foundation mission values. 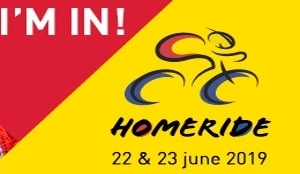 After the first participation in June 2018, a multinational team of Celanese cyclists will again participate in the “HomeRide” (www.homeride.nl). The team will cycle 500 km in 24 hours to support the Ronald McDonald Houses in The Netherlands (www.kinderfonds.nl); and also will be accompanied by a team of runners joining the HomeRun (240 km in 24 hours, www.home-run.nl).